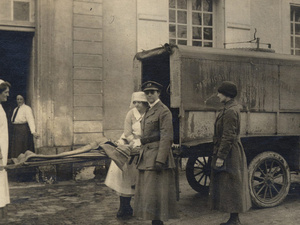 At Home and Over There: American Women Physicians in World War I is a traveling exhibit by the American Medical Women's Association (AMWA). The exhibit displayed in Falk Library contains historical photographs, books, and a screening of a 15-minute video about the physician's war efforts. AMWA's online exhibit provides links to biographies, images, and further reading. Tuesday, March 5 at 7:00 a.m. to 12:00 a.m.